Hard lobbying by the SA Property Owners’ Association (SAPOA) to drive the appointment of a Services Appeal Tribunal in Mpumalanga province has paid off, with official word received this week that the Board will be in place by the end of this month. The purpose of a Services Appeal Tribunal is to allow property developers to appeal decisions made by municipalities and obtain independent resolution in such matters. SAPOA took up the cause after numerous concerns were raised by local SAPOA members, who pointed out that such a Tribunal is already provided for in Section 124 of the provincial Town Planning and Township Ordinance 1986. There has been no Tribunal in place for more than three years. 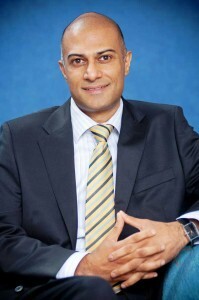 “SAPOA has just received official confirmation that the Province will be appointing the full Tribunal before the end of November,” says SAPOA CEO Neil Gopal. As Gopal explains, the Tribunal is critical to the resolution of disputes between municipalities and developers around service contributions, and safeguards the right to appeal enshrined in the Constitution. “Property developers with existing appeals have been hamstrung because their appeals cannot be heard,” adds Gopal.